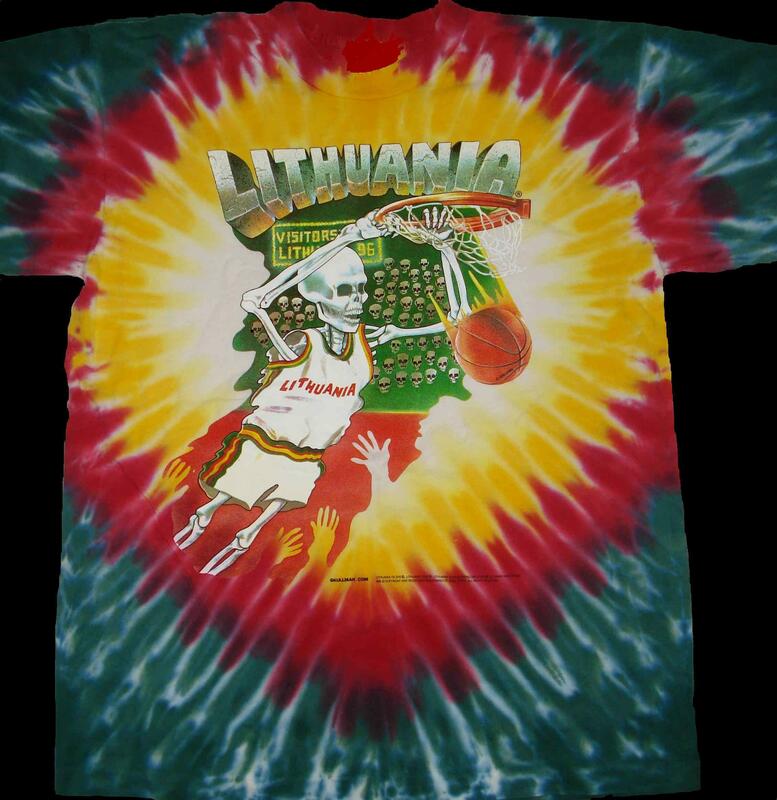 Skullman ® Created & Copyright © 1992- 2017 by Greg Speirs, Lithuanian Slam Dunking Skeleton ® & Lithuania Tie Dye ® are registered trademarks of Greg Speirs. 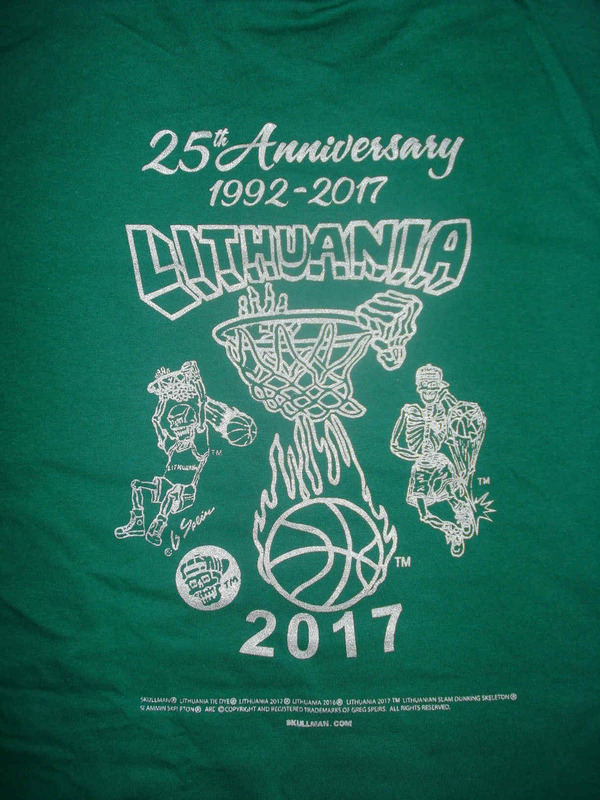 (Only a limited number of shirts exist). $3.00 SHIPPING anywhere in the U.S.A., $12.00 Shipping to U.K., Canada, Europe. 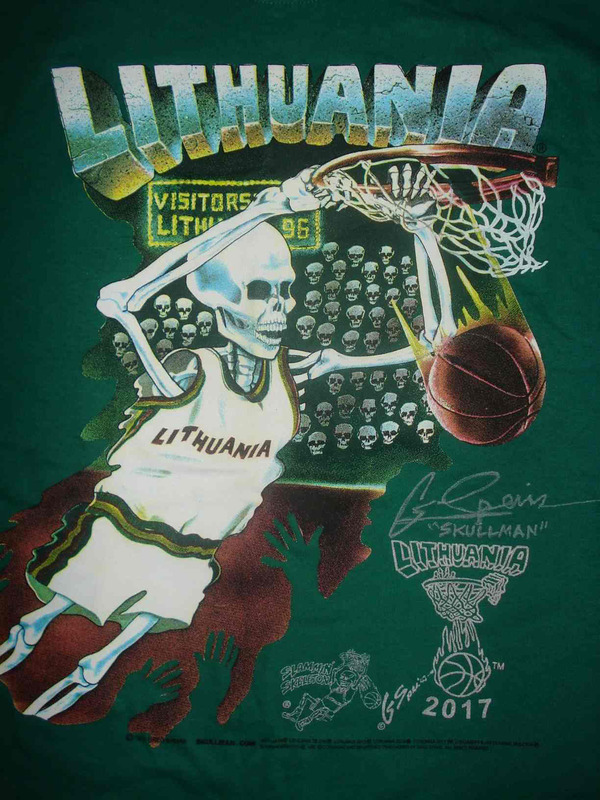 Skullman ® Copyright ©1992- 2017 Greg Speirs, Lithuanian Slam Dunking Skeleton ® & Lithuania Tie Dye ® are registered trademarks of Greg Speirs.